Al-Nahar (“The Day,” Beirut) reported that dozens of Assyrian Christians have been abducted by Daesh (ISIL, ISIS) in Hasakah Province, northeast Syria. Reuters later put the number at 150. The abduction occurred after heavy fighting by Kurdish YPG commandos that included allied Christian fighters versus Daesh attackers in Hasakah Province. In the course of the battle, Daesh took the Assyrian Christian villages of Tal Shamiram and Tal Hermez, near the town of Tal Tamar. Al-Nahar says that the ME minorities NGO Demand for Action reported that 3,000 Assyrians fled the Daesh advance,taking refuge in the largely Kurdish cities of Hasakah and Qamishli. 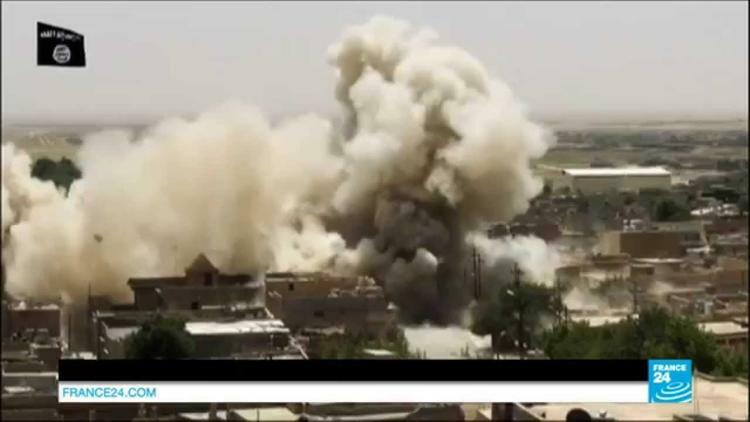 There are some 30,000 Assyrian Christians in Syria (pop. 23 million) and most of them live along the Khabur River in the northeast of the country. Likely about 5 percent of Syrians are Christian, though higher percentages are sometimes given; there is no census by religion. 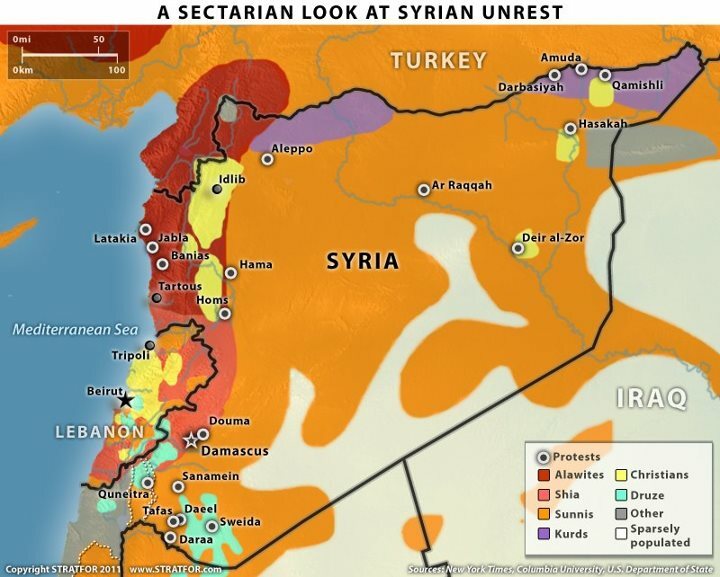 Northeast Syria is ethnically largely Sunni Kurdish but has small Christian enclaves. The Kurds there are mostly organized by the leftist Democratic Union Party. Kurds in that area were often deprived of citizenship in Syria by the Arab nationalist Baath Party. The Democratic Union Party’s paramilitary wing is the People’s Protection Units (Yekîneyên Parastina Gel in Kurdish, hence the acronym YPG). Although the YPG is largely Kurdish, it has picked up Sunni Arab and Christian fighters as well, since it is a bulwark against the Daesh thugs. The Christian paramilitaries, some of whom wear Jesus tats and are allied with the YPG include the Syriac Military Council and Sutoro. Both the YPG and the Christian forces are mixed-gender, with women fighters, an expression of left-leaning politics. Radical Muslims in Libya who have declared allegiance to Daesh or ISIL last week executed 21 Coptic Christians, Egyptians who were working as expatriates. In Syria, Daesh has expropriated Christian property and burned churches but this is apparently the first time the terrorist organization has taken so many Christians captive. In their communique, Daesh called these Christians “crusaders,” painting them as the aggressors and associating them with the American, British, and Australian Christian pilots who are bombing Daesh targets. 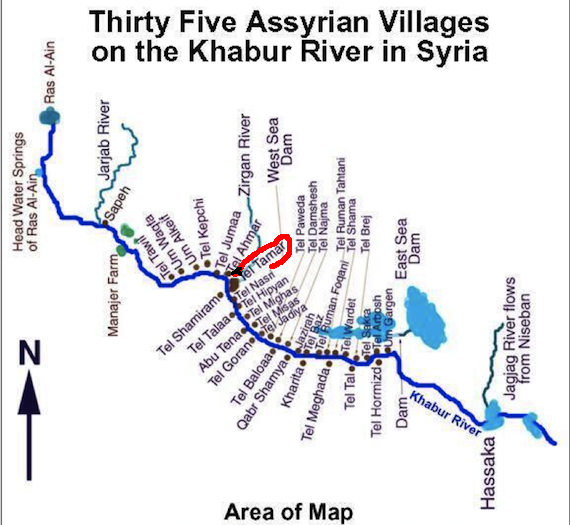 Ironically, the Assyrian Christians mostly came to the Khabur region of Syria after a massacre in 1933 in Iraq. There, as Iraq became independent of Britain in 1932, the small Assyrian Christian enclave near the border of French Syria made a bid for independence. Some other Iraqis saw them as foreign and as proxies for imperial Christian Britain. The Iraqi army massacred some 3,000 of them. Assyrian Christians originally spoke Aramaic (some still do) and claim descent from the ancient Assyrians of northern Iraq (think Ashurbanipal). They typically belong to the Assyrian Church of the East (which follows the Nestorian branch of Christianity) or the Syriac Orthodox Church. Traditional Nestorians saw Jesus as man, not God, and declined to call Mary “mother of God.” In the 1400s, some Assyrians acknowledged the Pope and became a uniate branch of the Catholic Church; they are called Chaldeans.